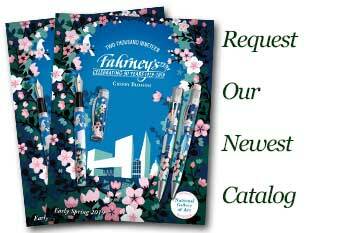 Order your Parker Premium IM Metallic Ballpoint Pen today from FahrneysPens.com. Fine Pens, Refills & Luxurious Gifts – great prices & fast shipping. The Parker Premium IM Ballpoint Pen is a smart reworking of Parker's expertise in matching form with function. Every detail, from the stylized arrow clip to stainless steel grip is carefully considered the ideal writing tool for a life spent on the go with its comfort, practicality and intelligent style. Focused on comfort and simple, high-performance functionality, its tapered contemporary shape teams up with versatile appeal of metal to give it instant modern style. Available in matt black lacquer with a powdery touch, metallic brown and pastel pink lacquer with a satin finish, rythmed by a unique pattern engraved with fine straight graphic lines.